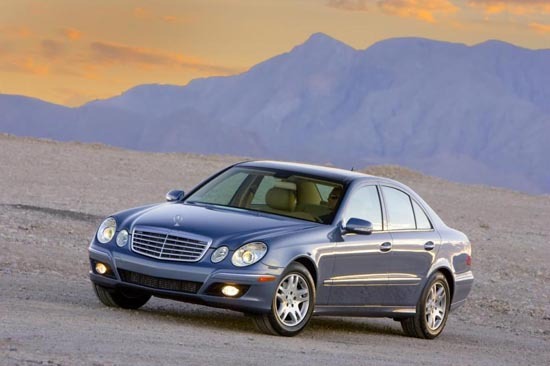 MONTVALE, NJ- The Mercedes-Benz E320 BLUETEC was named the “2007 World Green Car” today at a breakfast awards ceremony during the 2007 New York International Auto Show. Mercedes-Benz BLUETEC, distinguished as the world’s cleanest diesel technology, is able to meet the world’s most stringent emissions regulations. The BLUETEC concept utilizes state-of-the-art diesel technology featuring common-rail direct injection. Fuel consumption in these diesel vehicles is 20 to 40 percent lower than in cars equipped with a comparable gasoline engine, and torque, the key indicator of engine power, is 30 to 50 percent higher. BLUETEC is a modular concept that utilizes several coordinated technical measures to minimize emissions within the engine and also provide for effective exhaust gas treatment downstream. The process involves consistently reducing all relevant emission components to a minimum. The system for passenger cars includes an oxidation catalytic converter and a particulate filter in addition to new techniques for reducing nitrogen oxide emissions. BLUETEC technology is especially important for lowering nitrogen oxide emissions, which is the last type of exhaust gas that’s higher in diesel vehicles than gasoline engines. Until recently, the only real remaining disadvantage of diesel engines as compared to gasoline engines was in the area of particulates and nitrogen oxides. However, Mercedes-Benz set the standard for modern diesel drive systems in the fall of 2003, when it introduced the maintenance-free particulate filter in Europe as part of the EU4 emission standards. Despite reducing diesel emissions by 75 percent over the past 15 years, the company is going further. The E320 BLUETEC achieves significantly better fuel mileage and longer cruising range (up to 700 miles) than a comparable gasoline-powered luxury car, but more important, it does it without the usual tradeoffs of diesel ownership. Additionally, the E320 BLUETEC is an impressive performance car, powered by 3.0-liter V6 with 208 horsepower and 400 lb-FT. of torque accelerating from 0-60 mph in just 6.6 seconds. To be eligible for the 2007 World Green Car award, a vehicle had to be all new or substantially revised, in production, and for sale, in at least one major market during 2006. Either the vehicle or the green technology could be experimental or a prototype with near-future application, provided that it was released for individual or press fleet evaluations in quantities of ten or more during 2006. The World Car of the Year Awards program is initiated by, organized by, and conducted by, automotive journalists from around the globe. A non-profit association guided by a steering committee of journalists from Asia, Europe, and North America administers the awards program. NEW YORK – The fourth-generation Mercedes-Benz C-Class sedan is making its North American debut at the New York International Auto Show, open to the public April 6-15, 2007 at the Jacob Javits Convention Center in Manhattan. 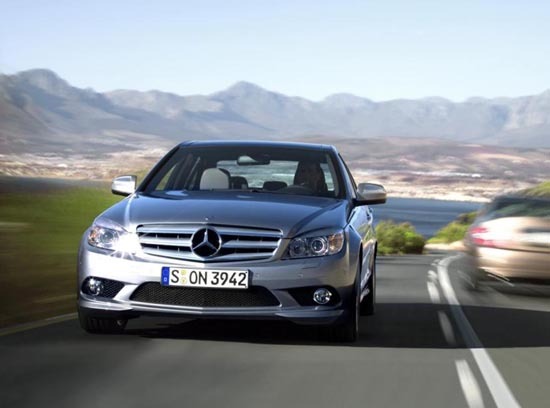 The next-generation 2008 C-Class sedan is slightly larger than its highly successful predecessor, with a greater emphasis on agility, comfort and safety. With a nod to the recently introduced S-Class sedan, the look of the new mid-size C-Class reveals the latest Mercedes design idiom that’s characterized by an edgy interplay of taut lines and wide, rounded surfaces. Revised suspension and steering help make the new C-Class noticeably more agile, along with a new slick-shifting six-speed manual transmission for the C300 Sport model. In the U.S. market, the new C-Class will be launched this fall with three V6-powered models – the C350 Sport, the C300 Luxury and the C300 Sport. In addition, the C300 Sport and Luxury models will be available with an all-new 4MATIC all-wheel-drive system mated to a seven-speed transmission. New standard equipment includes a power sunroof, eight-way power front seats with lumbar support, two-zone automatic climate control, 17-inch wheels, Bluetooth connectivity and a central controller with a seven-inch display screen. The AMG-inspired C-Class Sport models can be identified by the iconic three-pointed star in the front grille, a design cue usually reserved for its coupes and convertibles. In addition to the grille-mounted star, the new C-Class Sport models come with AMG cladding – deeper front and rear aprons as well as under-door rocker panels – and twin-spoke 17-inch wheels of staggered width. The car also features sport shocks, springs and stabilizer bars that provide a crisper ride and more than a half-inch lower ride height. Instead of the Luxury model’s traditional four-spoke wheel and burl walnut trim, Sport models come with three-spoke steering wheels and either aluminum (C300) or black Birdseye maple (C350) interior trim. As modern all-wheel-drive systems become even more refined, they are becoming increasingly popular, especially in the luxury car market. With negligible weight and fuel-efficiency tradeoffs, full-time four-wheel-drive systems provide year-round traction and stability benefits on both wet and dry roads. The latest version of the Mercedes-Benz 4MATIC all-wheel-drive system is optionally available on the new-generation C300 Sport and the C300 Luxury model. After making its debut on the new-generation S-Class sedan, the new 4MATIC system features a totally redesigned full-time all-wheel-drive system that’s integrated into the seven-speed automatic transmission. The new system fits right into the standard body and utilizes the existing front suspension – gone are the special suspension parts and wider transmission tunnel that were necessary on earlier 4MATIC systems. The extra gears and shafts that drive the front wheels now weigh only 145 pounds more than the rear-wheel-drive model. Fuel efficiency has been improved, due to a number of innovative measures that minimize the energy needed to turn the extra hardware. More space means more comfort. With a body that’s 3.7 inches longer and 1.7 inches wider than the previous model, the new C-Class boasts a noticeably roomier cabin in both the front and rear seating areas, and an increased wheelbase of 1.8 inches. The new car has more luggage room, too – according to the VDA measuring method, the trunk capacity is now 16.8 cubic feet – four percent more than the outgoing model. A new instrument cluster features three analog gauges that show engine speed, road speed, fuel level and coolant temperature. In addition, a display in the center of the speedometer is linked to a 12-button multi-function steering wheel that can call up a variety of helpful information including range, oil level, phone and audio system information such as radio station or CD track or iPod playlist (if equipped with optional iPod integration kit). If the car is equipped with the optional navigation system, this display will also show next-turn directions. A standard-equipment Bluetooth feature allows a phone that’s still in a pocket or purse to be operated through the audio system. Similar to the popular system launched on the S-Class sedan, an electronic controller on the console works like a computer mouse to provide easy, quick operation of many functions that used to require scores of separate buttons and switches. By turning and pressing the aluminum controller, menus and sub-menus on the center-console display are displayed and selected for the audio system as well as the optional navigation system and integrated phone. The controller is also linked to the rocker switches on the multifunction steering wheel. Standard equipment in the new C-Class is an eight-speaker, 100-watt Audio 20 system that includes a single-slot dash CD/MP3 player, telephone keypad, an MP3 plug in the glove box and a Bluetooth interface. Optionally available is a 450-watt harman/kardon LOGIC7 audio system featuring Dolby Digital/DTS 5.1 surround sound. The LOGIC7 system comes with 12 speakers, including two surround-sound speakers and a sub-woofer. The new C-Class includes a MusicRegister feature as part of the Multimedia package, which enables CD "ripping" (saving) to a four-gigabyte hard drive that can store up to 1,000 tracks from audio CD’s. A Gracenote database automatically identifies each track with its title, artist, album name and other information. The audio system can also play tracks stored on a data CD, DVD or memory card. A five-inch color display nestled under a flip-up cover at the top of the center console is standard equipment on the new C-Class. When the car is equipped with the optional COMAND navigation system, a power-operated seven-inch display screen slides out and up when the flip-up cover is raised. The navigation system uses a hard drive with map data covering all of North America. In addition to the high-resolution map display at the top of the center console, next-turn navigation instructions can also be shown in the instrument cluster central display. The 2008 C-Class comes with all the safety features that people have come to expect from Mercedes-Benz – from four-wheel independent suspension and four-wheel disc brakes to six air bags, ABS anti-lock, traction control and ESP stability control. In addition, active front head restraints move forward nearly two inches and upward by about an inch in the event of a severe rear collision, helping to support the head and reduce the likelihood of whiplash injuries. As traffic gets more and more cutthroat, most people’s blood pressure goes up logarithmically with the time spent commuting. A few years back I would arrive at work or at home with adrenaline shakes from close encounters with dangerous drivers, zig-zaggers, tailgaters, people cutting others off, driving at speeds inappropriate for the weather conditions, driving erratically because of drugs and/or alcohol, or just inattentiveness. In other words, 70-80% of the driving population. One day I stopped playing the game. If someone cut me off, I gave him extra room. If someone was wanting in my lane, I backed off a little to let him in. If two lanes were merging into one, and it was going left-right-left-right-left—and the next guy on the left hung on to the bumper of the car in front to cut me off, I backed off and let him in. If I need to change lanes and have a choice between speeding up and cutting in front of the car beside me or backing off and sliding in behind him, I slide in behind him. If the car in front stopped in the lane in order to make a left turn, instead of honking or cutting around to the right and cursing the driver for blocking the lane when he could have put the car into the area between lanes and not blocked traffic from either way, I just sit until he moves on and go on. For some time, because of the overzealous over-enforcement of speed limits near Star Motor Cars, I’ve been, at most, dead on the speed limit on Washington and Katy Road. Since the median speed is about 66 mph, I try to keep right and not impede the more important drivers in their quest for speeding tickets. People still tailgate, but I seldom hit the rear-machine gun trigger, usually only to tailgating Lexi. If I can get out of his way, I do. Usually the tailgater will follow me as I change lanes to the right. Once I reach the right lane and he’s followed me, I start slowly changing lanes to the left. They seldom catch on, though, and usually follow me across six lanes. Occasionally they’ll move ahead and start tailgating the car ahead in their lane. I don’t drop caltrops unless my rear license is completely obscured by mud and it’s dark. No more dropping incendiary grenades, even if the tailgater is in a one-ton truck with a 700 lb. black wrought iron grille guard. I didn’t even mount the launcher in the new ML. If they’re tailgating on the HOV lane it’s hard to change lanes. The only thing to do is to give the car ahead a few extra car lengths so I don’t have to stand on the brakes. I employ the same sort of rules you have to if you have a concealed handgun license or a black belt. Avoid confrontations at all costs. If the other guy acts like an idiot, I courteously let him have whatever part of the road he wants. Fine. You might look very macho in court. Contrary to popular belief, manhood is not directly related to how aggressively you drive in public (or on a race course, for that matter.) No, studies have shown that wild driver, on the whole, are not manlier than those who drive sanely. Additionally, driving a one-ton dualie diesel truck has been shown to have no affect on manliness, not even when it is driven to intimidate. I’m sorry this study has been kept from you by the makers of big pickup trucks. It’s amazing how much more relaxing driving is. Of course, I still have the urge to drop an incendiary grenade, but usually I turn up the SIRIUS and stifle it. About when Consumer Reports did their hatchet job on Mercedes, it occurred to me that since I started selling Mercedes-Benz in 1981 this is the best they’ve ever been. Starting with the introduction of the new generation SLK in early 2004, every new model has been trouble free. I can enumerate the complaints that have gotten to me in the last year and a half with one hand and have some fingers left over after I’ve eliminated the ones that could have been avoided by reading the manual or calling the I-button to find out how to do something. Palm Pilots are very popular phones. They do not work with the MB Bluetooth systems. Blackberries do. I just bumped across a tech article on the care and feeding of Saab 900 cooling systems that was written by a very experienced tech that is Saab and MB trained but runs his own operation. 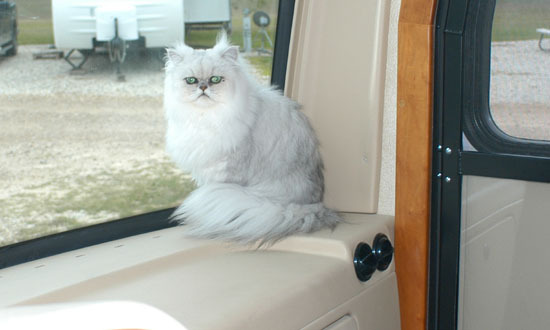 He uses MB coolant exclusively because he finds that it does not break down and preserves thermostats and water pumps. He did a coolant service on an older MB that had not had the coolant touched since new (for 100K miles)—surprise—no green slime on anything. Thermostat and water pump had no corrosion at all. On the Saabs that he takes care of, if he gets to them soon enough, he finds that the head gaskets do not give problems if the MB coolant is used—otherwise the head gaskets tend to delaminate from the coolant passages outward and the head gaskets will fail—sometimes taking the entire engine with them. It is off to the MB store for me for coolant for all of my fleet other than the scooter—I use the special stuff from the dealer for that one. We were walking George S. Patton late one Friday afternoon, and 2 neighbors were at the front of our RV laughing, pointing, and looking at the windshield. “How did you train your cat to wave?” they asked us. I turned, and Arthur Pendragon was between the windshield and the shade and was batting at the windshield—waving at the neighbors. He learned that one by himself. I looked and found that I’ve been working on this since before 1995. On that date I converted the draft to the latest version at the time of Word and didn’t keep earlier versions. I am unlikely to ever write anything better, so if you like the way I write, this is your last best chance to get my best work. The next newsletter might be late too. I’ll be getting surgery soon that will take me out of work for a month or so. Eddie O’Neal will be covering for me. Eddie has more Mercedes experience than I do. He’s the one I go to when I don’t know the answer. He’s a Vietnam vet, a Special Forces officer. He has similar ethics to mine. He’s a good guy. Grant us the ability to watch over our humans, care for them, cheer them when they are down, make them laugh, smile, and shower them with our love. We pray that we can bring a little joy into their otherwise mundane existence. Please let them know that when we insist on getting attention, it is so we can check their emotional well being and boost their morale When we pester them for different foods, toys, etc., it's so they will learn to see us in ways they hadn't considered, bringing them closer and back into the fold ... which they are part of but keep forgetting about. They expect us to know what they want even though sometimes they don't know what we want. Some of them really try and we know they love us but some of them are so dumb yet our love for them remains intensely unfaltering. When we die, please make sure to send us ahead to where ever our humans are going to be, so we can pave the way for them, vouch for them and be there for them when they too die. Please allow us to continue proving the humans are worth the effort. You placed these humans in dominion over us, but you charged us with the task of caring for them and showing them your love every day, through us. Post Traumatic Stress Disorder is a term invented in the eighties to describe the effects of prolonged exposure to combat or equivalently traumatic events. Prior to that returning vets were just crazy, shell shocked, affected by the war, etc. The list of symptoms is long and varied. Men suffering from PTSD after wars were in literature long before this. Hemingway wrote about it and suffered from it. Much of the violence after the Civil War involving veterans had origins in veterans with PTSD. The soldiers General Patton slapped were suffering from it. But to a lesser extent, a lot of combat vets suffered from it. Its symptoms can include the following: nightmares, flashbacks, emotional detachment or numbing of feelings (emotional self-mortification or dissociation, insomnia, avoidance of reminders and extreme distress when exposed to the reminders ("triggers"), loss of appetite, irritability, hyper-vigilance, memory loss (may appear as difficulty paying attention), excessive startle response, clinical depression, and anxiety, and anxiety. It is also possible for a person suffering from PTSD to exhibit one or more other psychiatric disorders; these disorders often include clinical depression (or bipolar disorder), general anxiety, anxiety disorder, and a variety of addictions. The Vietnam War produced its share of PTSD patients. The average veteran was younger than the comparable vet in WWII, 19-20 vs. 26. He was in combat longer. The Sixth Marines of Leon Uris’s best selling novel and movie, “Battle Cry,” were in combat for 6 weeks total. Exceptions occurred, of course. Troops in Vietnam were normally in combat units for 12-13 months, and combat conditions existed for most of it. Booby traps (IEDs of another name) cause as much stress as a firefight, and, in Vietnam as in Iraq, thousands of casualties. There were safe rear areas in WWII, but none in Vietnam. Generally there were no lines, and the enemy wasn’t wearing a uniform or easily discernable from the population. Even children were booby-trapped. Additionally, the advancement in travel technology meant a soldier would start processing to return 36 hours before his flight and then fly to the west coast one day and home to the Midwest that night or the next day. Previous soldiers came home in troop ships, and it took weeks or months, so they could “decompress.” The military made no effort to reacclimatize these men (and women, primarily nurses) to civilian life. Those who came home to another duty station were better cared for and suffered less PTSD. Additionally, the liberal press of the day played up “crazed Vietnam vets.” They became the villains of TV shows and movies. A woman’s magazine of the day told women Vietnam Vets were unexploded bombs and advised them to drop them and find a non-vet. Today TV still uses PTSD sufferers as villains. While I was working on this I watched an episode of “Criminal Minds,” and the villain was a veteran of Somalia who became a crazed serial killer. Becoming a serial killer is not on the list of symptoms of PTSD, and the news is not filled with veterans committing such crimes. In other words, this is fiction. But it does make the common view of PTSD such that veterans are shunned and distrusted because of it. In the 80s, in studying PTSD, doctors discovered another phenomenon. Prisoners of war of Japan during WWII came home after the parades were over, got decent physical medical care, and were told to go to work and get along with their lives. They did. But the ones who survived to retire began suffering from PTSD when they retired. 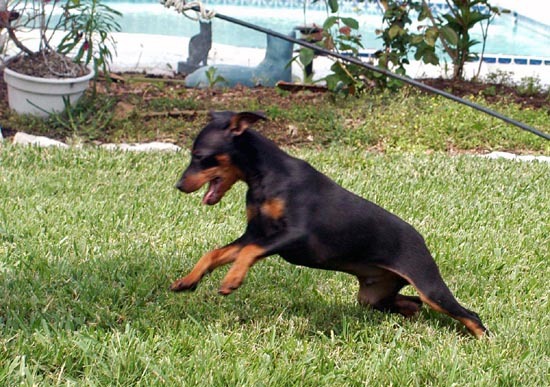 It is possible they were suffering from PTSD before that, but they were able to cope with it to some extent. The baby boomers and “60’s generation” Vietnam vets are beginning to retire. Many are suffering from PTSD, especially with the exacerbating effects of seeing Iraq War vets treated as badly as they were. Disabled vets in military hospitals are receiving death threats. A disabled vet had to be rescued from an angry mob at a “peace” demonstration. Many a disabled Vietnam vet, missing a limb, was told, “You deserve it.” This is being repeated to Iraq war vets. Vietnam vets, angered and hurt over such treatment for years, vowed to never allow this to happen to another generation. Now they can do nothing about it, and it dredges up the past for them. After many years The VA Medical system came to a conclusion. If you are in enough combat, you will suffer from PTSD. Vets claiming disability from PTSD are required to provide details of 2 “stressor incidents” to justify it. This would be appropriate if, for example, the vet had been trapped in an armored vehicle in rising water in training and almost drowned. But the VA has decided that a veteran with such combat awards as a Purple Heart, Combat Infantryman’s Badge, or any combat valor medal doesn’t have to provide one because the record speaks for itself. The VA has begun reassessing vets previously denied disability or given a small percentage. In many cases percentages have been raised. Part of the problem is that thousands of phony Vietnam vets are receiving PTSD from bogus claims. While it is difficult for a non-vet to fool a vet, apparently it is, or was, easy to fool the medical staff at the VA and other civilians. During the 80s, an entire TV network was fooled. “60 Minutes” did a story about vets living in the jungle of Hawaii, all too crazed to reenter society. Vets, in droves, seeing the episode, didn’t believe them. Eventually a better reporter than the 60 Minutes staff proved none were Vietnam combat vets at all. Eventually virtually every “vet” who got on TV and described atrocities he had committed or witnessed and how it gave him PTSD was debunked. But, as now, it made good copy to accuse Americans of atrocities and to ignore those done by the enemy. A huge number of phony Vietnam vets, from actor Brian Dennehy to author Shelby Stanton, muddied the waters. Iraq war vets are suffering from PTSD in large numbers. A helicopter squadron was evaluated prior to being redeployed in Iraq, and every pilot suffered symptoms. The difference is the military knows it now, and vets are getting treatment both in the military and in the VA system. The system is 300,000 claims behind. All paperwork from the VA is quite slow. But once in the treatment is excellent. Each VA Medical Center will have a considerable amount of resources for treating PTSD. While it is overdue and too late for many, it is welcome. Every combat vet needs to know about these resources.